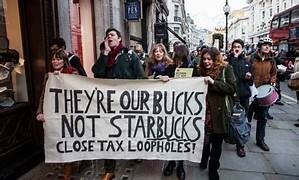 A recent heated discussion with friends focussed on the relative morality of tax "avoidance". Just to be clear on the legal position - tax "evasion" is illegal. If you have income that is subject to the required payment of tax by you, it is, very simply, against the law, to fail to declare that taxable income on your annual Tax Return. It is a right or wrong issue, based on compliance or non compliance with the law. It is not a moral issue. Tax avoidance, by contrast, is the minimisation of your tax liability using the considerably large and diffuse amount and complexity of tax legislation, including but not exclusively, the following examples. Avoiding higher rate tax levels by high levels of capital expenditure. Using farmers averaging where a good year (and a large tax bill) can be averaged with the ensuing or preceding bad year. Investing in an ISA. Making Pension Contributions. Risking your money in Film Making! Incorporating your business. Even these are not issues of "morals" - these are, in some of the above cases, investment tax advantages created by HM Treasury to stimulate economic activity. Others are where the Government has tried to meet instances of commodity price fluctuation - farmers averaging. Where tax discussions go wrong is when some people suggest that others (it is usually others) should pay more than the legal rate of tax or should not avail of the tax legislation in place. This is utterly misguided. By law, and this applies to all manner of legislation, we are required to comply with the law and nothing more than that. Anything else would be an unworkable administrative nonsense. To quote Lord Tomlin from Inland Revenue v Duke of Westminster (1936), "every man is entitled..to order his affairs so that the tax attaching under the appropriate Acts is less than it otherwise would be. If he succeeds in ordering them to secure this result, however unappreciative the Commissioners of the Inland Revenue or fellow tax-payers might be of his ingenuity, he cannot be compelled to pay an increased tax"
To discuss tax avoidance, please contact us to arrange a tax-free consultation.